STUNNING Atrium Ranch in desirable Chateaux at Woodfield. This 4 bd/ 3.5ba ranch sits on 0.87 acre. 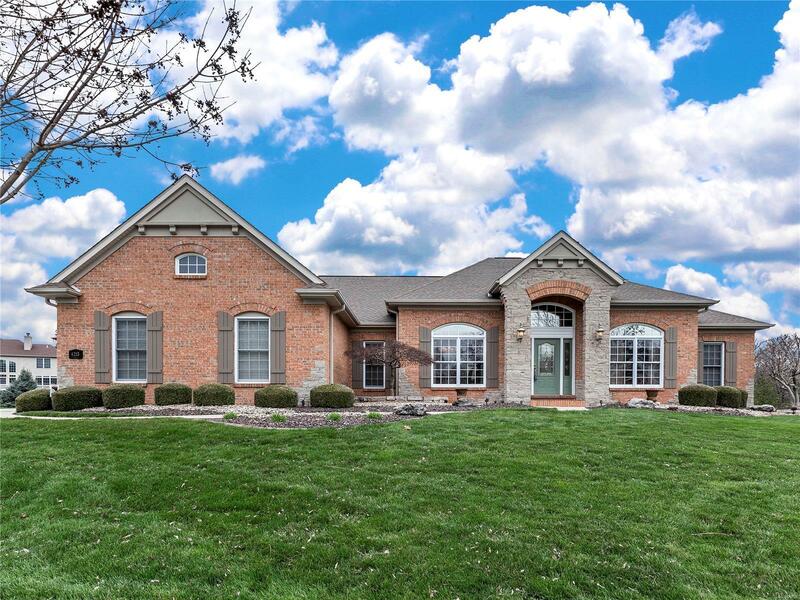 The exterior of the home is 3 sides brick/stone, has an inground sprinkler system, professionally landscaped, and a screened deck to enjoy those warm summer evenings. The interior of the home is beautifully appointed with a formal dining room and office flanking the front entry foyer. The open floor plan is expansive with a cathedral ceiling in the great room w/FP that adjoins the dine-in kitchen. You are sure to love the granite counter tops with coordinating backsplash, maple cabinets w/cherry finish and crown, an electric cooktop and wall oven, planning desk and a walk in pantry. The main floor is completed by a split bedroom plan with the master ensuite commanding one side, the other side of the main floor has two add'l bedrooms, bath as well as utility room. The walkout LL has a fam room with FP and wet bar. A separate game room, bedroom and full bath. Call today for a private tour!